Natural Animal Solutions® Skin Pack is a revolutionary treatment pack which has been created to combat the ever popular issue of skin problems for our pets. The Skin Pack products are identical to the products which have been used with unparalleled success from within our clinics for many years. It is only now that we have created the combined Skin Pack and made it available for sale as a treatment pack for everybody to easily access. 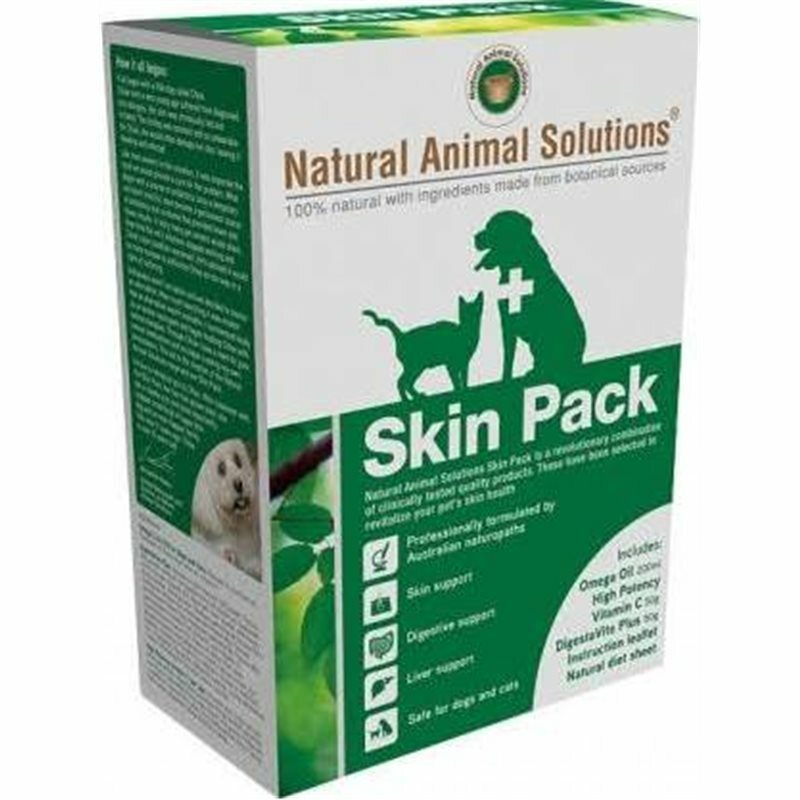 To complete the pack, an instruction leaflet and free bonus natural diet sheet as created by Animal Naturopath Jacqueline Rudan has been included.